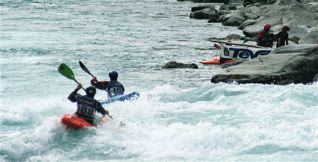 The Teva River Festival was held of Easter Weekend in Central Otago, the event ran alongside the NZ Open Slalom Nationals. 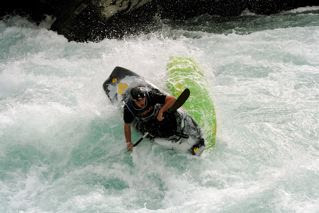 Mike Dawson from Tauranga dominated both events winning the extreme race, mass start down river race & Open Mens Slalom Championship. A top weekend which consisted of the head 2 head extreme race on the Citreon Rapid - Grade 4, Grand Prix Slalom in plastic boats & a mass start down river race. I kept my performances equal and finished in the middle of each event. 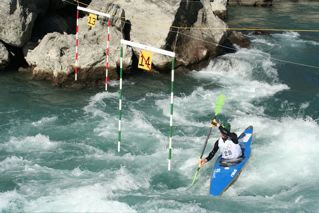 Knocked out in the top 16 for the extreme race, getting about 8th in the slalom & somewhere about 10th in the mass start. 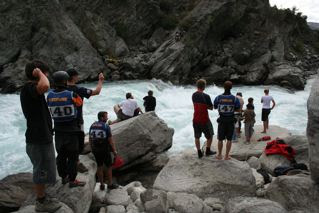 Since I was too busy enjoying being on the river all the pictures are by Jono Conway & Megan Foster.